Conversations. We have them every day. But recently, I wondered, is the digital world and its interaction taking over our actual real-life interaction? How many face to face conversations are we avoiding by using the good old text? In today’s world, where we’re all busy people leading busy lives, I think it’s easy to send a text or drop an email in exchange for an actual, real-world conversation. Similarly, how often are you saying ‘must catch up soon!’, or ‘coffee soon?’ with no actual intention of following that through? I know I’m most definitely guilty of that from time to time. Are we having fewer coffee dates and catch up’s because we genuinely don’t want to, or is social media playing a role here? Every day I’m on Instagram, Twitter, and Facebook, and through that, I know what my friends and family are up to. I know what they’re doing, where they’ve been, and how they’re feeling. Is this feeling of knowing about my friends lives through what they share online stopping me actually hearing it from their own mouth? ation between two screens is not the same as a conversation over a coffee, tea, or even a cocktail if you’re feeling fancy. I think sometimes we underestimate the impact some social interaction can have on our mental wellbeing. Being stuck indoors or behind a screen can take a dwell on your mental health, and it’s important to recognise when you need to take a break and have some time out. I think at university I really understood this the most – spending a lot of time in my room, at my desk left me feeling like I needed to get out and socialise. Having a communal kitchen I would opt to work there instead for the afternoon to catch my flatmates for a quick catch-up, or I would make sure I’d head off to netball training to talk to some friends in the evening. Each of these left me feeling a whole lot better at what could have been a really lonely time. Carrying on from the idea of loneliness, there’s been a big spotlight shed on the issue of loneliness among the elderly recently. When I was planning this post, I really wanted to touch on the importance of conversation with older people too. I’m so grateful to still have my wonderful nan, and step-grandad around and as I’ve grown older I realise just how lucky I am. Despite them having each other, loneliness can still be a real issue, and boy if I have to spend 24/7 with Jamie when I’m grey and old I think I might go mad!! It’s beautiful to see how happy just popping round to my grandparents for half an hour and a quick catch up over a cuppa can make them. Often we overlook these little pleasures of life and it’s important to remember them. 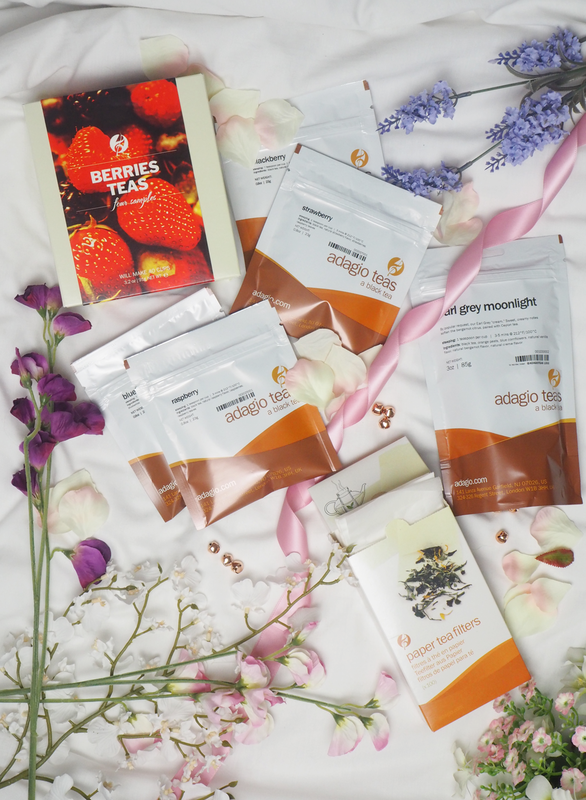 Catching up for a cup of tea is the perfect excuse for a conversation, and boy was I thrilled when adiago teas offered to send me a hamper of goodies! 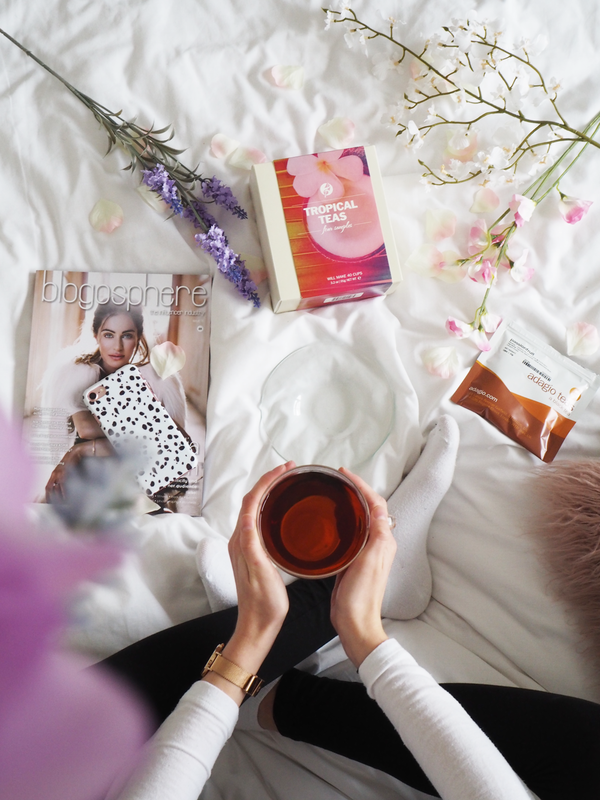 They were so generous, with my favourites so far being the tropical teas, they even popped in a chocolate chip flavoured tea which I am so intrigued to try!! 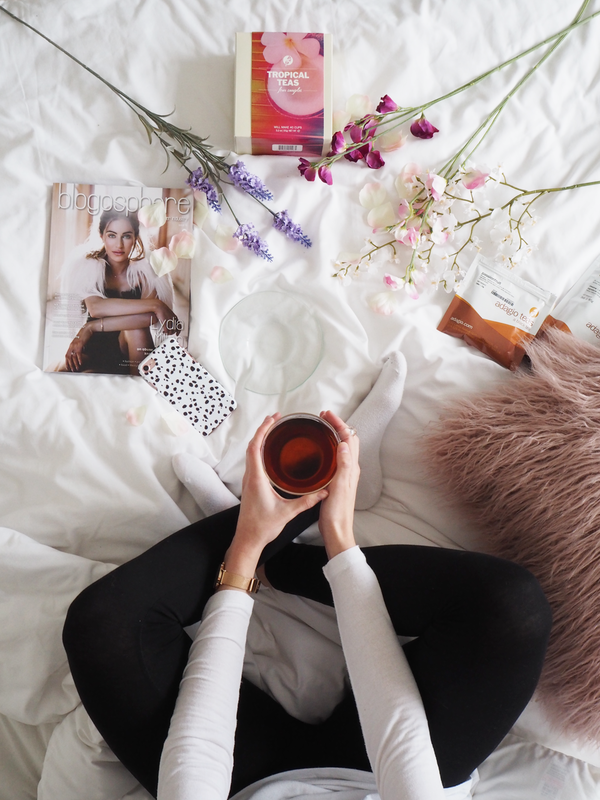 I hope this post has given you something to think about, and perhaps encouraged you to plan a catch up over some tea soon. Who are you planning to have a catch up with next?